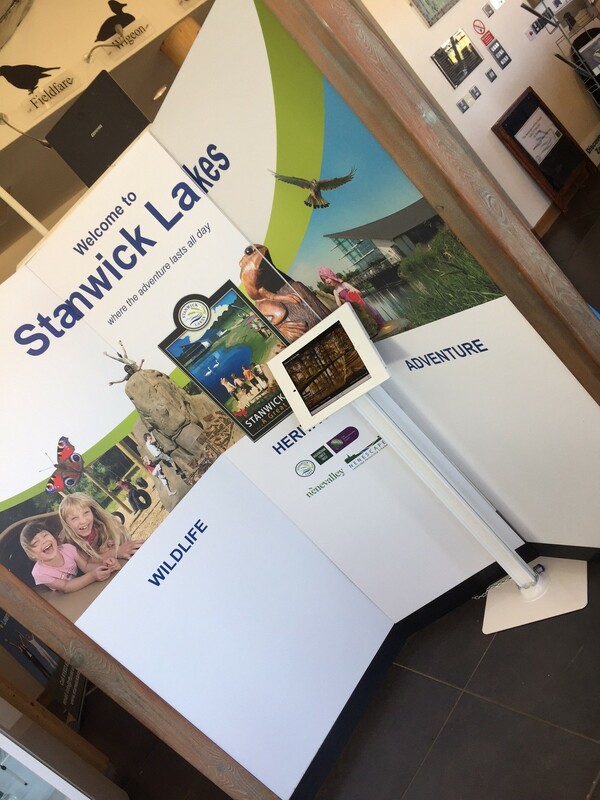 We’ve enjoyed working alongside the team on the Destination Nene Valley project for a number of years now and we were very happy to be working alongside them last week on a job at Stanwick Lakes in Northamptonshire. 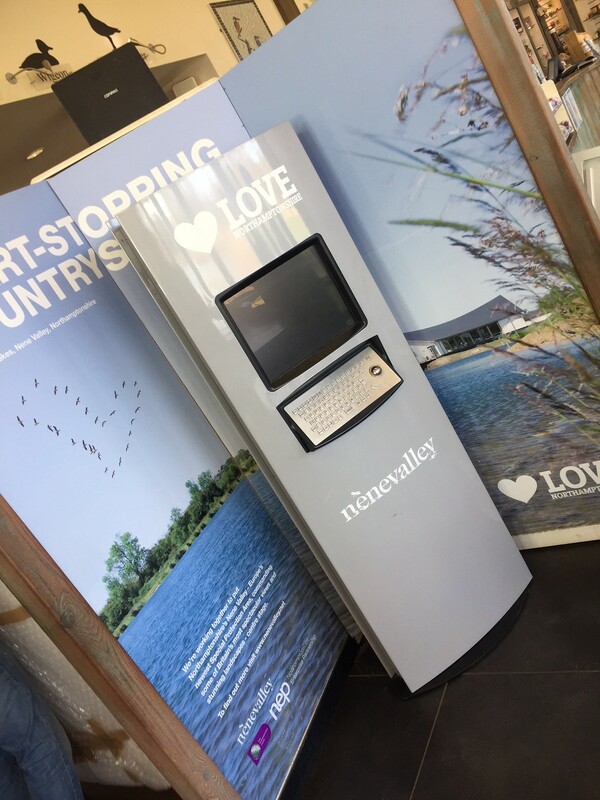 For a little while now the team onsite have been experiencing issues with the old touchscreen kiosk that was in place and so we were approached to put together a new installation for them to enable their visitors to continue to browse online some of the local attractions and businesses of note. You can see a before and after shot of the work on the right hand side here but the first thing we did was to strip out the old foamex panels and replace them with a fresh new set of updated graphics. 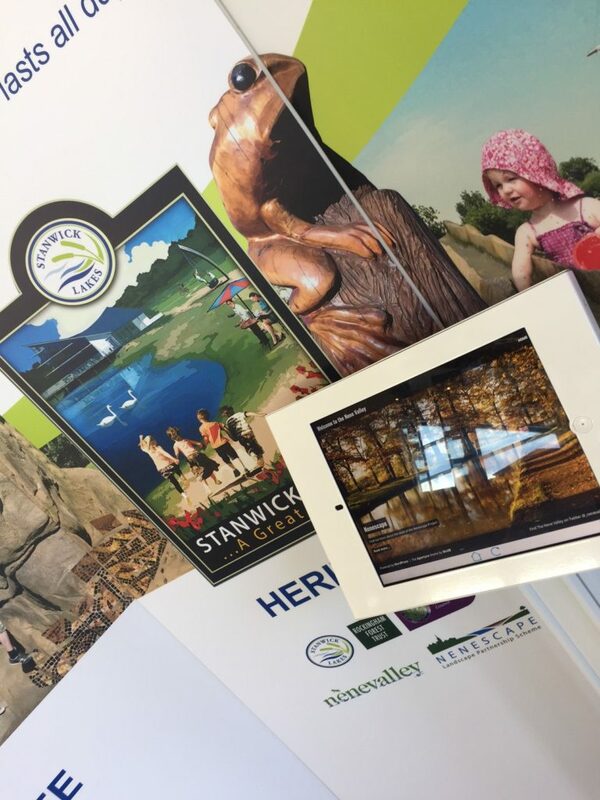 These large format panels are very easy to install and remove and are really durable – made from a 5mm foamex board. The panels here are in direct sunshine most of the day as well so they are all coated in a specialist UV coating to ensure that the colours and finish don’t fade over time. From here, we developed a custom iPad portal for the team which provides a safe and controlled environment for users to browse approved content. In this instance, we opted for the larger screen real estate of the 12.9 iPad pro which is a perfect choice for this kind of install. This was then securely fastened in place in a tamper proof lecturn and all told – we’re very happy with the results. 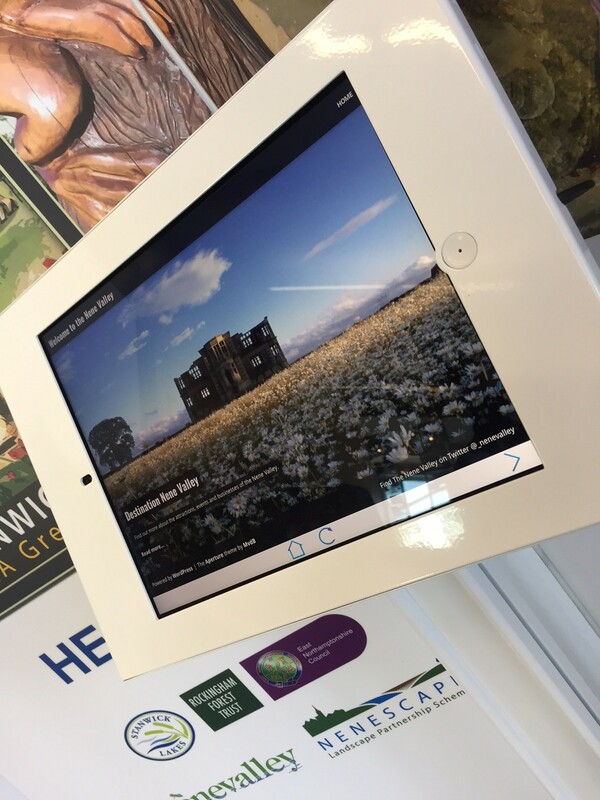 This kind of iPad-led approach is a really effective way of providing interactive experiences to customers. The same methodology can also be adapted in so many different ways – data capture and email sign-ups at events for instance, retail stores could play videos or allow online ordering from websites – the possibilities are endless. Why not get in touch and see how we can help put together something like this for you today!